BookCapital.my is an online portal, everyone can access the portal without having an account. However, in order to purchase any eBook, you need to own your BookCapital account. Opening an BookCapital account is an one-time registration process. Your account will be synchronized with the web portal as well as BookCapital mobile applications so it is advised that you should keep your information private. There are 2 ways to own your BookCapital account: via BookCapital portal or via Facebook. 1. From BookCapital homepage, click Create Free Account. 2. Enter your full name, preferred user name, email address, contact number and preferred password into the required fields. Then click Register. 3. If your registration is successful, you will be brought to a page confirming your registration and you can now log in into your account. 1. From BookCapital homepage, click Sign in. 2. Click Sign in with Facebook to register. Note: Make sure that your browser allows pop-up to login to Facebook. In Google Chrome you can do this by clicking Setting > Show Advanced Settings > Privacy > Content Settings > Pop-ups > Allow all sites to show pop-ups. 3. Enter your email address and password then click Log In. You will be logged in and automatically redirected to BookCapital`s portal. You can also browse the eBooks by categories by clicking Categories on navigation bar or through the list on left hand of the screen. Alternatively, you can use search box on top right corner of your scree by typing specific title of the eBook, eISBN, publisher, or author (e.g. Gilgamesh a Screenplay, 9781483510132, James Lee) if you already know what you are looking for. 1. If you want to buy an eBook while browsing in home, category or shelf page, click Add to Cart button below it. If you have clicked one of the eBook for more details, you can also add it to cart by clicking on the yellow button. 2. Once you are ready to check out, click the shopping cart icon at the upper right hand corner of the page. 3. Now you can see the subtotal of your purchase. If you wish to use coupon, please enter it now, then click Redeem. 4. Proceed to register/login into your account first if you haven`t done it. Otherwise, skip this step and proceed to step 5. 5. You will notice few options to pay your purchases. Make final check on your purchases then select one of the payment options to continue. 3. Tap "GET" to install. 1. Via BookCapital application - enter your username and password to log in. 2. After log in, you would be greeted by Home tab, which shows your recently downloaded and read eBooks. 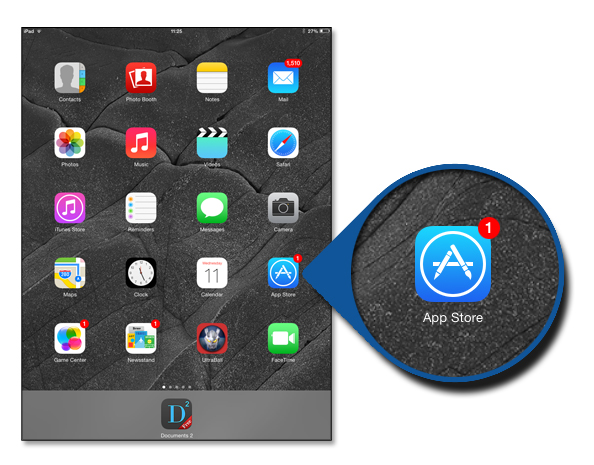 Navigate through the app by switching between tabs on the bottom of your screen. 1. To start downloading your eBooks, tap on My Library. 2. There are few Collection options to place your downloaded eBook; either in: Default (All/Purchased/Borrowed) Collection or Custom-made Collection. On default, you will start from All collection. If you acquire your eBook by borrowing and not purchasing, then the eBook will be placed under Borrowed. 1. Use to SortBy according to Recent, Title or Author. From the same menu, you can also use Filter By to filter according to genre or downloaded status. Once you have found the eBook, tap on its cover. It will start the downloading process. For example, we will download Scappa per Amore. Once the eBook has been downloaded, a green tick would show next to the title. Now you may start reading. Now you can create your own eBook collection! To start, tap your collection name on top. Name your new collection, then tap Add. For example, we will create a Recipe collection. Now your new collection has been created. You will be redirected automatically. You will notice that the collection is empty, because we haven`t added anything in. To add eBooks, tap on button. Search for the titles you wish to add, then tap on the eBook. It will be added to the collection. Tap on the eBook cover to download the eBook. Press the eBook cover then drag the eBook to the position you want. 1. Press the eBook cover then let go. 2. Tap on (Trash Icon) at the top right corner of the screen, then choose Yes. 1. Tap your collection name on top. 3. A red circular button would show to the left of your collection name. Tap on it then tap Delete. 3. A list button would show on the right of your collection name. Tap on it then drag the collection to whichever position you preferred. 1. To start reading, tap on your downloaded eBook. 2. Swipe horizontally or tap on left and right edge of the screen to move between pages. 3. Tap on the top right corner of the page to bookmark any page. 4. You can access more features by double tapping on the page. to customize your spacing, alignment, font size, font type and color theme. Page Slider: to jump to whichever page you wanted. to access Table of Contents so that you can jump to specific chapters. You will also find your Bookmarks and Notes here. Define: to help you in finding out the definition of any words you don`t know. Share: to help you share your favorite quotes over social media or messaging. Note: to save your favourite quotes so that you can save them later. You can also change the color of your notes and remove any notes that are not needed anymore. 6. To close your eBook, double tap and click Close. BookCapital`s application will remember which page you last read, so you can immediately start from the page where you left. 2. To Log out, tap at the top right corner of the screen. 1. Via BookCapital`s Username – enter your username and password to log in. 2. After log in, you would be greeted by Home tab, which shows your recently downloaded and read eBook. 1. To start downloading your eBook, tap on the or swipe right from the left edge of your screen. A dashboard would pop up. 3. There are few collection options to place your downloaded eBook, either in: Default (Purchased/Borrowed) collections or Custom-made Collections. On default, you will start from Purchased collection. If you acquire your eBook by borrowing and not purchasing, then the eBook will be placed under Borrowed. Use to SortBy according to Recent, Title or Author. Use (in tablets) or (in phone) to Filter according to eBook Categories and Downloaded status. Use to search for specific eBook title, author or publisher. Once you have found the eBook, tap on the cover. It will start the downloading process. For example, let`s download Scappa per Amore. Name your new collection, then tap New Collection. For example, let`s create a Recipe collection. You will notice that the collection is empty. To start, tap on button. Search for the titles that you wish to add, then tap on the eBook. It will be added to the collection. Tap on the eBook cover to download it. Press the eBook cover then drag it to the position you want. 2. Tap on at the top right corner of the screen, then choose Yes. 1. Activate the collection by tapping on the collection name. 3. Tap Remove Collection, then tap Yes. : to customize your font size, type, spacing, alignment and color theme. : to access Chapters so that you can jump to specific chapters. You will also find your Bookmarks and Notes here. to help you share your favourite quotes over social media or messaging. to save your favourite quotes so that you can save them later. You can also change the color of your notes and remove any notes that are not needed anymore. 1. Tap on the or swipe right from the left edge of your screen. A dashboard would pop up. 3. Tap Logout, then tap Yes. *This is an alternative for you to read our eBooks if you do not have access to our Android/iOS/ Desktop Reader. However, the cloud reader does not support all types of eBooks. 1. Via BookCapital application - enter username and password to sign in. 2. Via Facebook - log in BookCapital using Facebook account. Once you are in BookCapital application, follow these steps to begin reading. 1. Click My Account. You will be automatically redirected to My Library tab. 3. There will be few readers which you can choose from (Note: iOS, Android and Windows will redirect to respective OS application store). Click Cloud Reader. 4. Click the arrow icon on top left corner of the screen to go back to My Library. [< >] to go to the next or previous page. click to go back to your Cloud Library. to access a specific chapter from the current book. to adjust the font type and sizes.